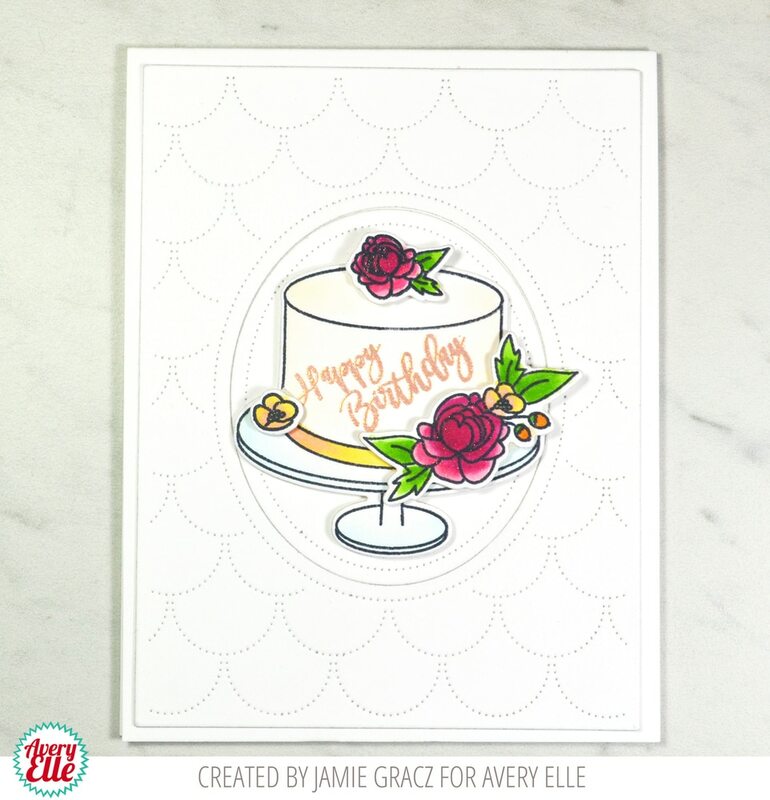 Customize a beautiful cake for any occasion with the Avery Elle Cake For All stamp set. 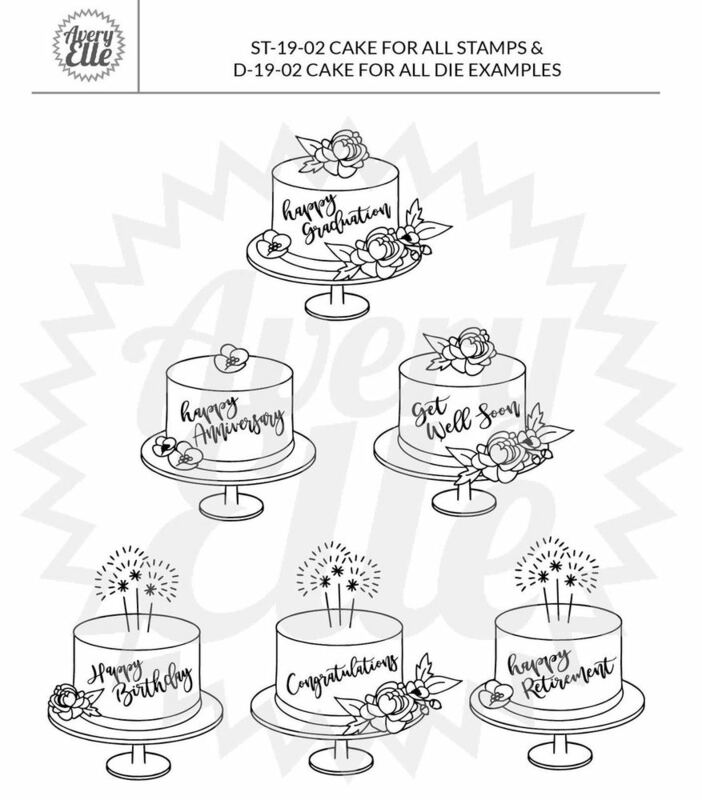 This set contains a cake, several flower stamps, candles, and various celebration sentiments. 15 total stamps. 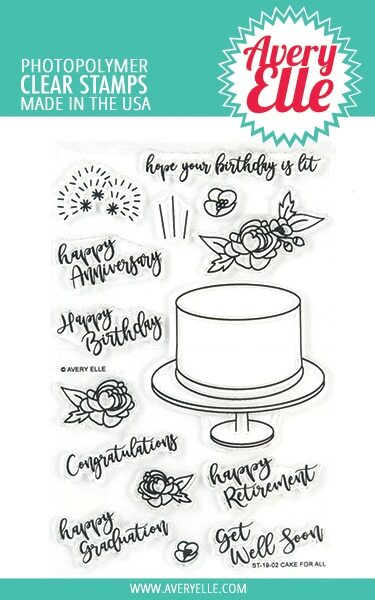 "hope your birthday is lit" sentiment measures: 2 3/8" x 3/8".